Best Dressed Guests: "Best En Blanc" At DC's First Diner En Blanc! On Thursday evening, The Yard's Park was revealed as the secret location for DC's first ever Diner en Blanc! The très chic picnic with official champagne partner, Moet Ice Imperial, brought out the BEST in all white fashions. 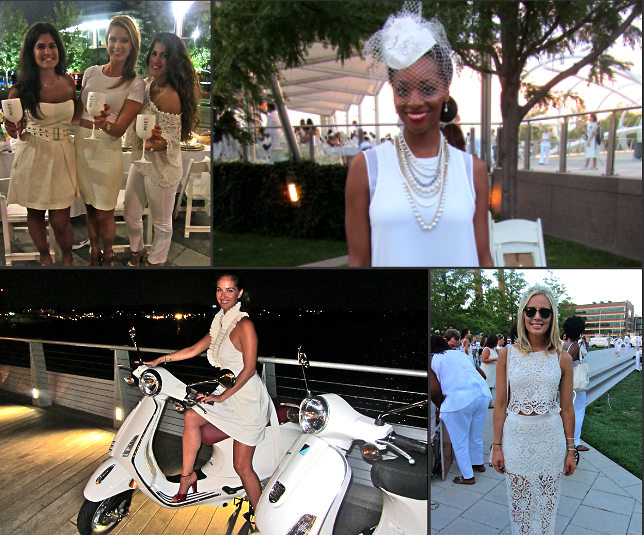 Here are our top looks, our Best en Blanc, from the evening's soiree! Who says you can't wear white after Labor Day?